Dive into this sea that looks like it has been painted. It is also known as ispùligi de nie (snow fleas) because it consists of small round, pink and white pebbles, mixed with sand. 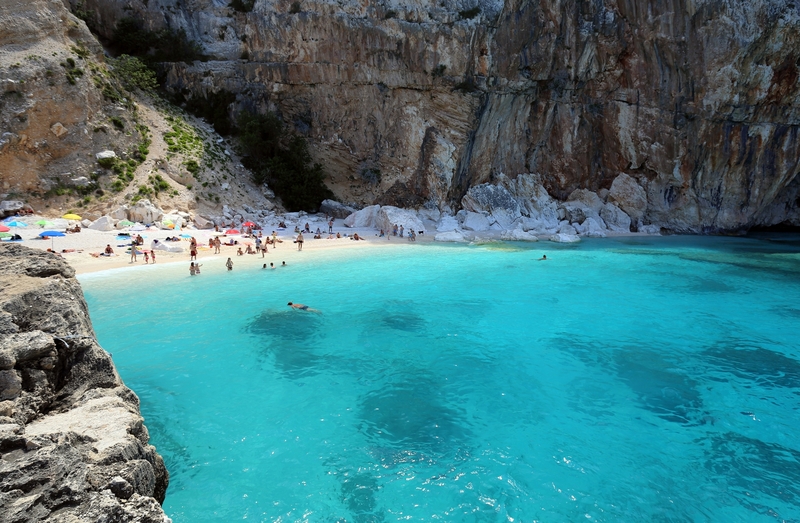 Cala Mariolu, in the territory of Baunei, gets its name from the Mediterranean monk seal that is said to have ‘stolen’ the fish from the nets of the fishermen from Ponza and was therefore called the mariolo (thief). Its landscape is striking, with its endless shades of blue, emerald green and sky-blue, as well as its pebbles that resemble snowflakes. The cliff surrounding it reaches a height of 500 metres and looks out onto the sea both to the north and to the south, making Cala Mariolu accessible from the land only via a challenging trekking trail (for experts) through dense Mediterranean scrub. In the past, Punta Is Puligi acted as a place in which coal could be loading by the furisteris, the coal merchants who populated the Baunei area. The seabed with its shallow waters is worth exploring with a mask, for those who have less familiarity, or with diving equipment for those who want to explore its depths: it is the habitat of various species. You can even catch a glimpse of dolphins offshore from time to time. Out of the water, you will see the peregrine falcon and the Eleonora's falcon, the European shag and the golden eagle. A large rock, sa perda 'e su saltatori, acts as a pier. 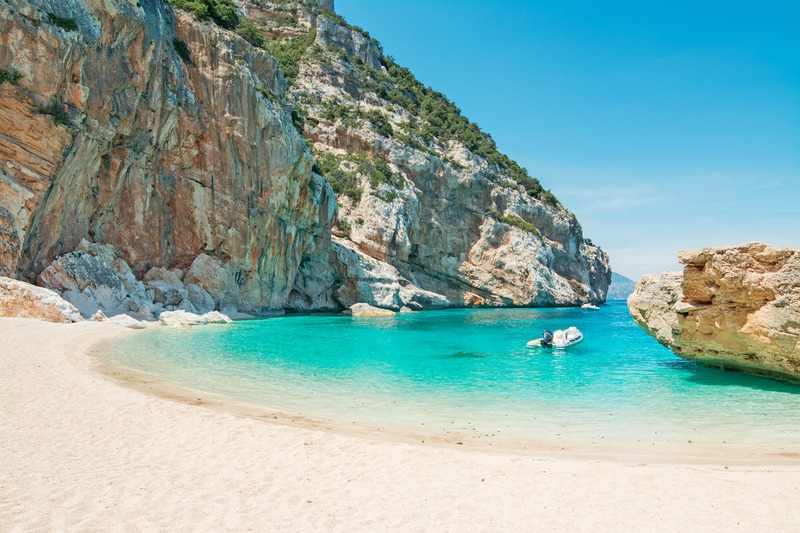 In fact, the cove is easier to get to via the sea, in private boats or using services heading to the coves that depart from the ports of Arbatax, Cala Gonone and Santa Maria Navarrese. Nearby, there are numerous caves, one of which is in the cove: it begins with a little beach and is ten metres deep, which is the result of the incessant movement of the sea over the centuries. 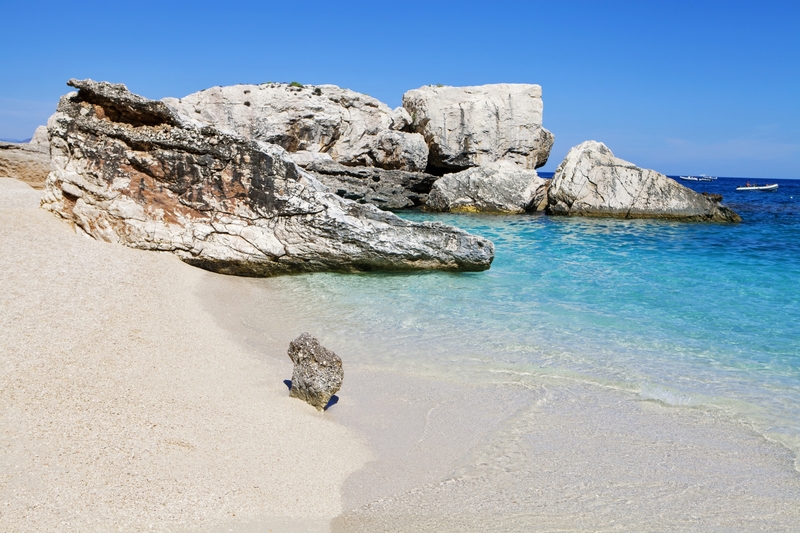 Not far away, there is the charming Grotta del Fico. 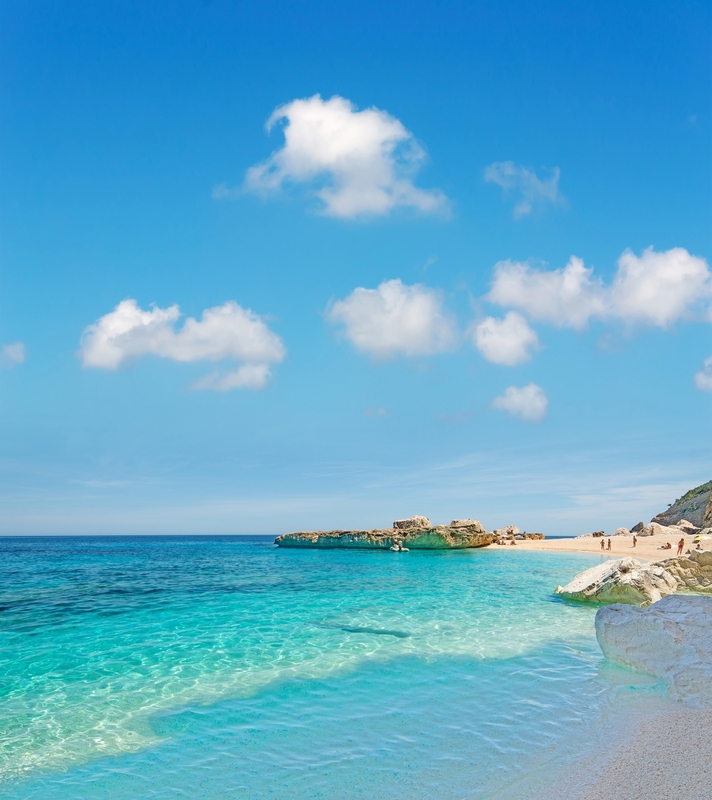 During your trip along the gulf, there are other little coves not to be missed: the unspoilt Cala Goloritzè, the splendid Cala Sisine and Cala Biriola and one of the beaches symbolizing the Mediterranean, Cala Luna, halfway between here and the territory of Dorgali. 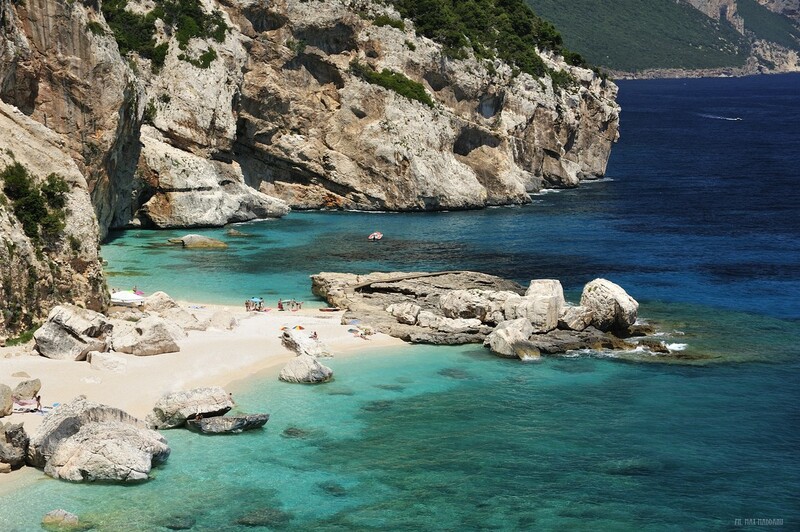 Cala Mariolu is accessed by sea on privately owned boats or with one of the craft that offer a daily transport service to the beaches of the Golfo di Orosei from the harbours of Cala Gonone, Arbatax and Santa Maria Navarrese. The beach is also accessible over land along a hiking trail that is, however, only for the more experienced hiker.